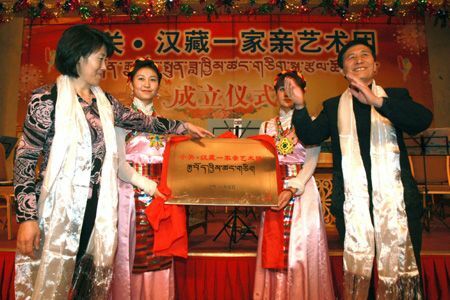 A Han-Tibet art troupe was established in Xiaoguan Street, Chaoyang District, Beijing on Jan. 20, 2011. In Xiaoguan Street, a total of over 1,000 Tibetan people are living here, including staffs working in Tibet-related units like Tibet Building, Tibet Middle School and Tibet Hospital and Tibetan students studying in University of International Business and economics. Therefore, it is a valuable treasure of culture source to have so many versatile Tibetan people skilled in singing and dancing. 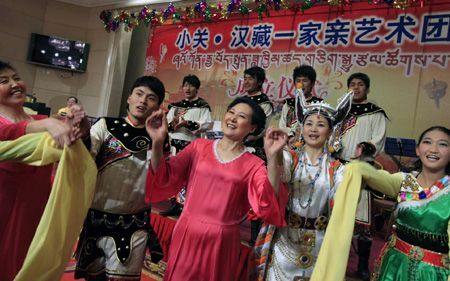 This Han-Tibet art troupe plays an important role in studying ethnic culture and promote national unity.